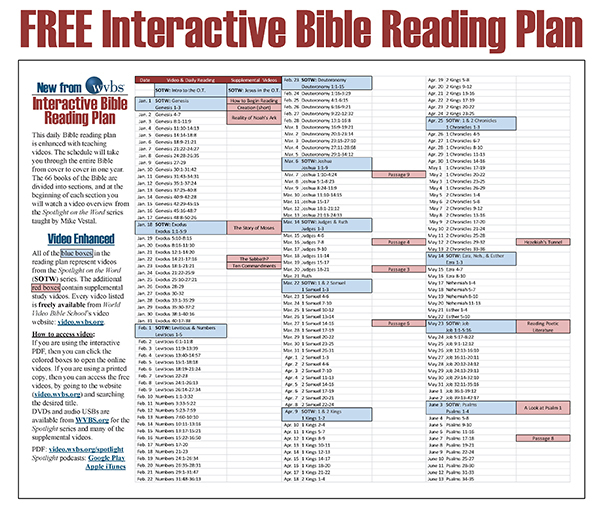 This daily, year round Bible reading plan is enhanced with teaching videos. The schedule will take you through the entire Bible from cover to cover in one year. 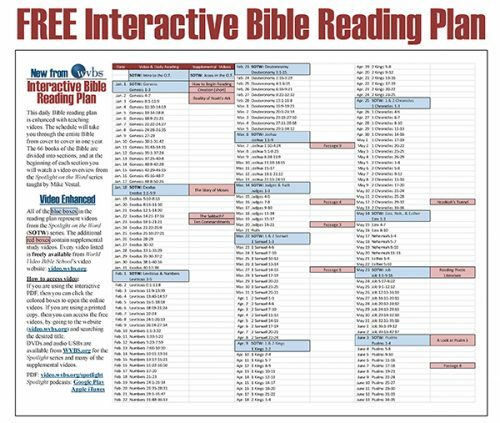 The 66 books of the Bible are divided into sections, and at the beginning of each section you will watch a video overview from the Spotlight on the Word series taught by Mike Vestal.